Usually, you measure the success of your email campaigns by open rates, i.e., the number of people who saw your email, and click-through rate, i.e., the number of people who clicked on links in your email. 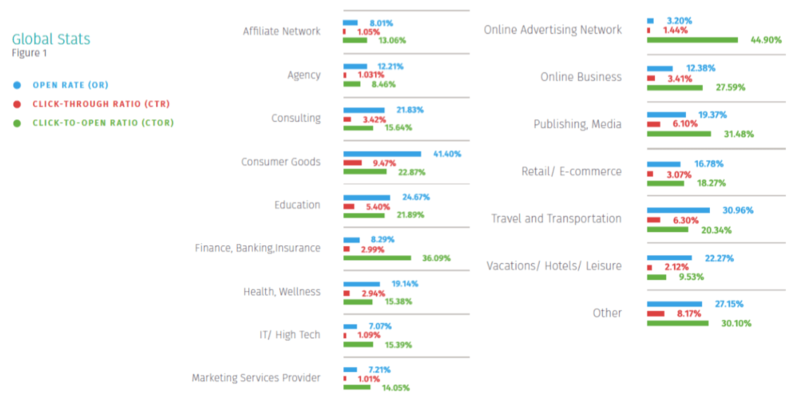 If you don’t know whether your open and click-through rates are okay, you can use average open and click-through rates per industry as a benchmark. Generally speaking the higher these rates are, the better. Higher open rates lead to higher click-through rates, i.e. the more people that see your email, the more likely they are to click on the links in it. So, here are some tactics you can use to boost the open and click-through rates of your email campaigns. Beware, open rates and CTR are only two pieces of the puzzle. You can fool yourself if you focus only on increasing these two metrics. You have to measure ROI and revenue too! Single opt-in may guarantee you a faster list growth (20-30%), but double opt-in has some long-term benefits. Double opt-in subscribers could show much higher (up to 50%) open and click-through rates. If you noticed your bounce rate is high, it is time to clean your email list. ‘Bounce’ means that an email address no longer exists, or someone made a typo (this is actually one of the reasons to use double opt-ins). A clean email list is a basic criterion for high open rates. People change their emails regularly from time to time, for example when they are switching jobs. Your email audience has completely different interests and needs, that’s why you should segment your audience to send more targeted messages that will definitely have higher open and click through rates. Customer email client data: mobile/desktop, email client, time when they open/ want to receive emails. One study shows that segmented campaigns show almost 15% higher open rate and 59% higher click through rate. 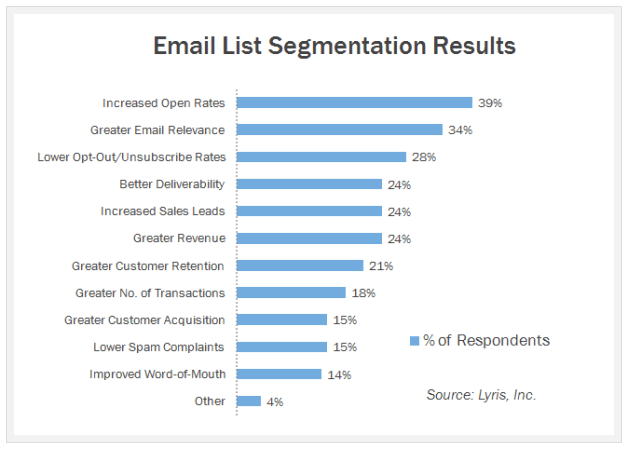 Here is a chart summarizing the results reached by the companies using email segmentation. 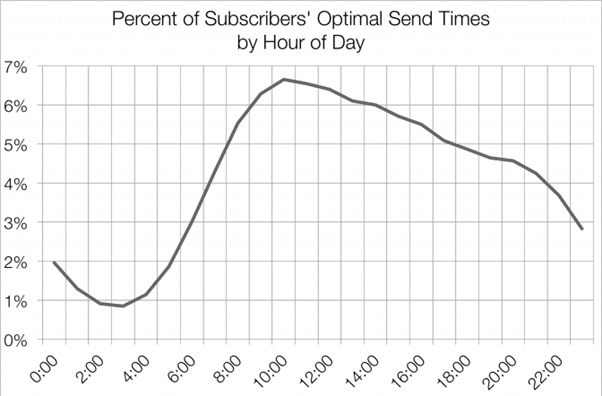 Skyrocketing bounce rates may be a sign that your messages are stopped by spam filters. Spam filters are getting more and more sophisticated, so if you want to maximize the reach of your email campaigns, you should avoid being flagged as SPAM. Make sure that your recipients really opted in to receive your emails. Purchased or rented email lists can do you more harm than good. Make sure the IP address you are sending emails from is not blacklisted. Check if the information in your email header is filled in properly. Don’t use all caps or multiple exclamations in your subject lines. 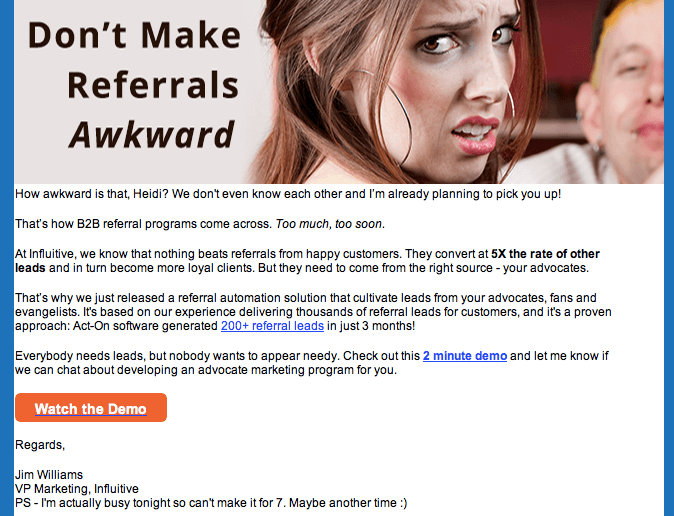 Avoid sleazy sales language in your emails. Beware of excessive images and links in your email. If you are looking for more detailed information on how to avoid spam filters, you can find it in our blog here. If you receive a lot of abuse reports, it might be a sign that the recipients of your emails click the SPAM button, meaning that they don’t remember you. Make sure that “From” or “Subject line” contain your brand name, so that your emails stay recognizable. In life you can make a first impression only once. In the context of email marketing, the first impression is made by the subject line, as it is the first thing your recipients see. Therefore, the subject line helps them decide if they want to open your email or not. Quite often companies use the same subject line formula for many years, so they start to be perceived by people as white noise. Be simple. “!”, a simple exclamation mark, can be a pretty good subject line. Use a single word. 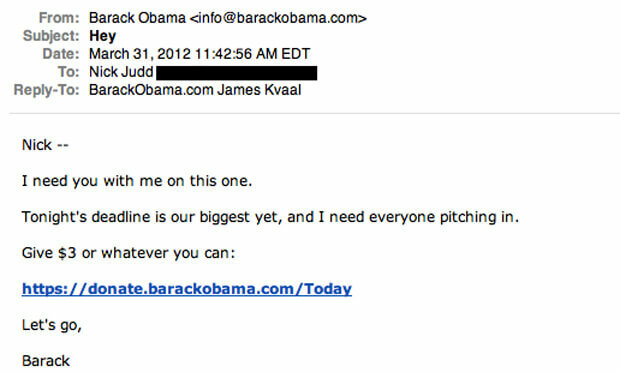 Barack Obama’s election campaign emails had extremely simple subject lines, like “Hey”. And it worked pretty well. Content is a king. If your customers are sure that you will send them interesting and informative emails, your open rates will skyrocket. There are some people who build business on delivering great content and making a superb community around a single topic. A great example is Growthhackingidea.com. Aladdin – the founder of the site – delivers quality Growth Hacking tips to you every week or every day. Simply get an invitation to become a member. If you send your subscribers irrelevant information or not easily accessible, old or boring content… your emails will easily end up in the trash. Quality must be among the core values of your newsletter. It is better to send less emails, as long as you make sure that your emails hit the usual grade! An email is more likely to be read when it is written to the person who received it. If possible, try to use your recipient’s name in the email opening and write it “to one person alone”. When you write to a group of people, you’re actually trying to address too many needs and wishes of your customers. Always write the content for a specific buyer persona, and make sure that your email gets delivered to those who belong to desired persona (segmentation). 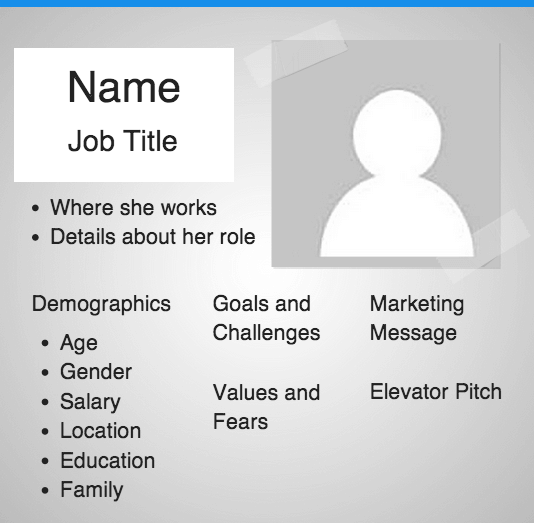 A buyer persona is an archetypical representation of one definitive type of your audience. It is an ideal representation of a certain customer group that exists inside of your audience. So, when you understand your buyer’s persona problems, it becomes much easier to craft your email content and tailor it to suit challenges, needs and wishes of your customers. If your emails are too official, you will sound cold and distant. 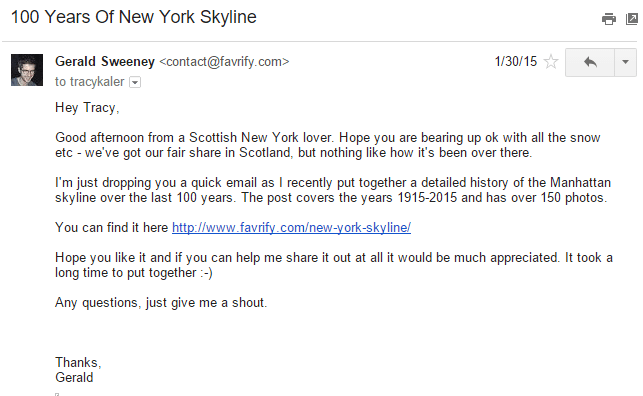 Obviously this is not the goal of your email campaigns. You want to appeal to your subscribers, build relationships, and softly persuade them to convert to a loyal customer. You need to compose friendly, warm messages which will make you sound like a real person and help you stand out from the white noise that surrounds us every day. As a marketer, you know that humor is your best friend. When the joke is done right, it sticks to people’s minds immediately. To make your joke work very well, you should know your recipients, their behavior patterns, likes and dislikes. Actually, your email visuals can be more than just static images, you can use animated GIFs too. According to Litmus, more than half of your audience read emails on their mobile phones. In July 2016, 56% of emails were opened on mobile devices. If you are using a quality ESP, you should be able to see which devices your subscribers use, so you just go and check your own stats. To make sure that the major part of your subscribers can read your emails, you have to optimize all the elements of your email – like subject lines, preview text, email copy and of course email design – for mobile devices. You have to remember that on mobile devices the subject line preview is limited to 25-30 characters, rather than 60 characters on desktop. When people check their emails on mobile, they are busy with something else, so they rarely have more than 3 seconds to read your message. You have to optimize your email copy for a 3 second read. And don’t forget about design. The best option here is to adopt a responsive email design and let your email templates adjust accordingly, resize to smaller screen sizes, and offer a convenient reading experience for your subscribers. By the way, if people can read your email on their favorite device, there is a higher probability that they will click on the links. To increase your open rates, it is advisable to send emails during business hours, i.e., during the time when it is most likely that your recipients check their mailboxes. However, you will not find out the time that is right for your subscribers unless you test your email delivery times. Because, the probability of your emails to be opened depends on its’ content, location of your users, and their age. You can try a trick that Noah Kagan used to grow Taparia’s email open rate by 30%. He simply resent the same email to people who didn’t open it the first time. The only thing he changes is the subject line. This is a simple way to get more people to open your email without creating a completely new message.